Have you ever come across a website loading slowly ? Do you think it is how the browsers are ? Now think again. Here comes Opera Turbo , a data compression technology that gives significant improvements in browsing speeds over a limited-bandwidth connection like a slow dialup connection or a overloaded broadband in a internet cafe or while browsing through your mobile phone while commuting. Opera compresses the data when this feature called Opera turbo is turned on. Opera 12 web browser combines the best features of Goggle Chrome (Crystal clear Stunning Looks), Opera Mini (Java App and mobile Browser)(Image & Data compression routed through opera servers ) and Flock (a Mail Integration program). What makes Opera speedier than other ‘ordinary’ browsers in slow speed? Opera 12 is like its mobile Java version called Opera Mini, which compresses data packets and thus reduces the quality of images so that they may load fast. So, if you want to browse pictures, then it’ll a bad bet to turn on Opera Turbo…!! 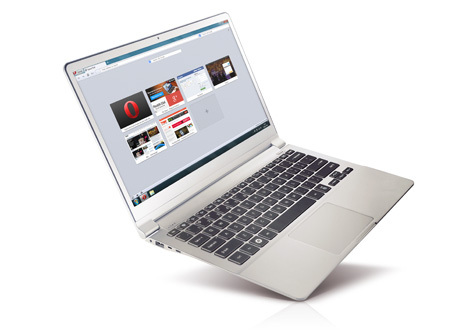 The All-new Opera 12 is based on the engine of Opera Presto making it faster, stable, and secure efficient & reliable. Unlike Firefox, it won’t freeze or crash, leaving you nowhere but scratching your head for the data you were working on! It requires less system memory (RAM) to run, hence it light and fast. Fast browsing on slow connections. Off-Road mode adopts the server-side compression technology used by Opera Mobile. New enhanced tab placement and sleek design. Completely Customizable looks, speed dial and other inbuilt apps! Data and Image compression which reduces the quality of images but makes browsing speed go up 3x times faster. Click here to learn more about Opera 12 . There are so many mobile browsers available on the internet today, but almost all of them which have few disadvantages. 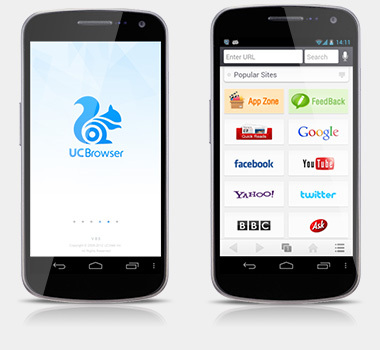 But, few days back I came across a great mobile browser named – UC Web Browser that is light weight ,very fast, very appealing, bandwidth efficient and it’s available for free to download. Yes, UC Web browser is great for mobile internet access , with amazing internet speed, it supports almost any mobile phone based on J2ME platform. Basically this Internet browser is optimized to work on low-end mobile phones, giving the best browsing experience making you feel as if you are browsing right from your own PC. Supports video play back even in your basic mobile model. Ease of use and gentle looks, making it very appealing. Screen can be divided into two sections for better browsing experience. Consumes less bandwidth while browsing web pages. eBuddy is an instant messenger for MSN,Yahoo,Gtalk etc.Now you can access your im client in your mobile device while at home, school or office. With eBuddy you can chat online anywhere anytime. eBuddy is available in two versions for your ease. One is web based and the other is the mobile version that can be installed in your java enabled cell phone. You can create your free account on eBuddy and start chatting. With your eBuddy ID, you can sign in to multiple IM accounts all at once. eBuddy remembers your login information so you don’t have to login to each of your account every time It will also give you access to extra eBuddy features, like webcam and picture sending. Have to say that I did not trust Opera at first, but it seems to be the ideal browser for me after checking it out. Fast, reliable – and a little bit geeky as well! eBuddy is really great app.Keep up the good work!Awesome preview!